After Edwin Rodriguez’s resignation was accepted by Larry Beinfest yesterday, the search has been on to find an interim skipper and eventually a new manager. Yesterday, bench coach Brandon Hyde presided as acting manager against the Rays before news came out Sunday night that Jack McKeon was a likely target for the temporary job. And this morning, the team made known that McKeon will be named interim skipper Monday afternoon. Jack McKeon has worked as an assistant to the owner. McKeon was also named a manager mid-season for the club back in 2003. That year, the Fish went on to win the Fall Classic. At age 80, he would be the second oldest to ever manage a major league team. McKeon currently works with the team as a special assistant to Jeffrey Loria. The Marlins are certainly not out of any contention yet. The season is not halfway over, and if the team can go nearly winless in a month, the same team could go nearly undefeated in a month. The Fish have dropped 10 straight and are 1-18 in June. Obviously it will be tough to make up this much ground on the Phillies and Braves, but it can be done. Jack McKeon turned the team around in 2003, we’ll see if he can do likewise eight years removed from Florida’s last World Series title. 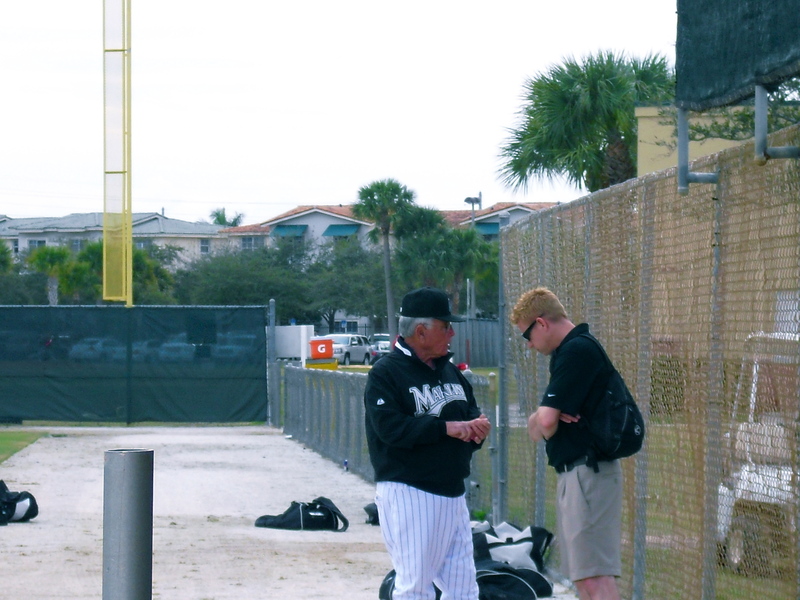 Joe Frisaro has reported that the team is expected to make a full scale managerial upgrade before the 2012 season when the Fish move into their new Miami home. Well i think these days interimmanager is the temporary provision of management resources and skills. Interim management can be seen as the short-term assignment of a proven heavyweight interim executive manager to manage a period of transition, crisis or change within an organization. In this situation, a permanent role may be unnecessary or impossible to find on short notice. Additionally, there may be nobody internally who is suitable for, or available to take up, the position in question.